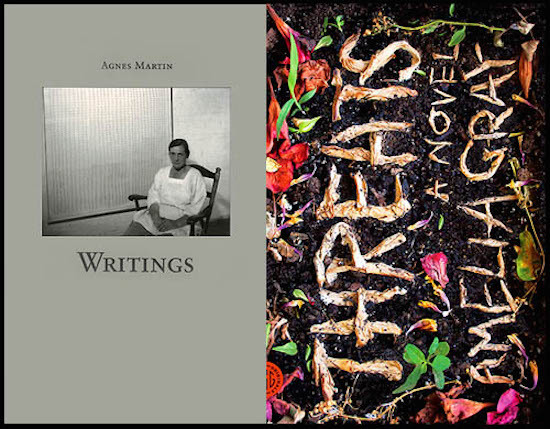 Experimental contemporary novelists, classic science fiction, and not-to-be-missed writings on art: Asymptote recommends! Rosie Clarke (marketing manager): Last month I found that “torturous” reading need not mean “badly written.” I inadvertently spent February with books fixated on death, mourning, poverty, and disturbing desires. In anticipation of her new novel Gutshot, I raced through Amelia Gray’s AM/PM and Threats, in addition to a difficult digestion of Jane Unrue’s Love Hotel, and finally a more peaceful meander through Swiss-German proto-modernist Regina Ullmann’s The Country Road. Together, the intensity of these works had a simultaneously invigorating and exhausting effect. Gray poses a rather exciting figure to me—of her own fragmentary and boldly inventive fiction, she commented in a recent interview with the New Yorker that “life is such a natural mix of horror and humor that it lends itself easily to the form.” AM/PM is a collection of interconnected vignettes: single page scenes and observations, made on relationships, loneliness, madness, all set in unsettling scenarios of ambiguous reality. Threats extends Gray’s use of dark humor coupled with a troubling sense of dread. It takes you to a dark place, where loss and solitude manifest in ways almost too real to take. The novel begins with its protagonist, David, watching his wife bleed to death, then sitting with her body for days before intervention. His fragile mental state dissolves, and he loses all concept of time, with short chapters mimicking this to great effect. The titular threats are paper scraps inscribed with poetic, surreal warnings, which David tries to understand. I have never read a book that so effectively communicates the desolation and emotional destruction death can have on a person. This, interwoven with the mystery of his wife’s death and the anonymous notes, makes Threats bizarre and intoxicating.